Lock in a great price for Moab Valley RV Resort & Campground – rated 8.4 by recent guests! Location is nice, facility's are clean, cabins are clean but the beds a not very comfortable, but not the worst I've slept on. Beats sleeping on the ground, I will return great place..
Dave was so friendly and helpful showing us where things were and recommendations of good places to eat in town. Also loved how clean, there wasn't a cob web anywhere in our cabin. The kids enjoyed the playground, the checkers games AND of course the pool! They have laundry facility and the bathrooms are nice, too. Met a lot of neat travellers! Good trip! It was our first time visiting Moab, and we absolutely loved it and loved staying at this resort! The cabins are clean and super comfortable. The bathrooms and were really clean also. My girls loved staying here! They also have a kids playground and a pool. If we come back we will definitely stay here again. It is clean and it is located very closes to Arches. The bathrooms were always clean and warm! Pool and hot tub was very clean and hot! Cabin was extremely clean and cozy, heater worked well! Great place to relax, grills provided for cooking. Facility is clean and quiet, staff is friendly and accommodating. Loved the cabin, all set up and so cozy. Loved the bathroom inside cabin. Clean and friendly. Nice location out of the fray of downtown Moab. Definitely will be back. Beds are very comfortable. Great location. Very close to the National parks and Moab! Great essentials. Fridge, coffee, shower, linens. Great heater! 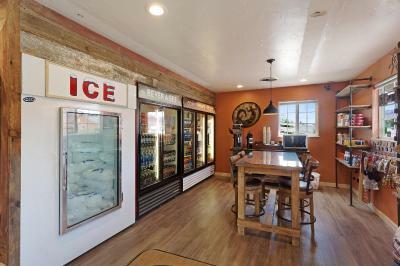 Moab Valley RV Resort & Campground This rating is a reflection of how the property compares to the industry standard when it comes to price, facilities and services available. It's based on a self-evaluation by the property. Use this rating to help choose your stay! 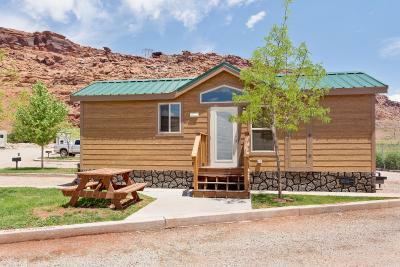 Offering an outdoor pool and a hot tub, Moab Valley RV Resort & Campground is located in Moab. Free WiFi access is available at this camping area. Views of the mountains and gardens can be enjoyed from the campgrounds. Guests can camp in their own RVs and tents or stay in the on-site cottages. A shared bathroom and laundry facilities are available to guests. Extras include a barbecue. 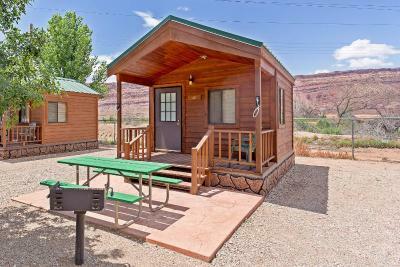 At Moab Valley RV Resort & Campground, guests can enjoy a game of chess on the property's life-size chess board. A children's playground is also available to guests with children. An array of outdoor activities can be enjoyed on site or in the surroundings, including hiking and mini golf. If you feel like visiting the surroundings, check out Mesa Arch (6 mi) and North Window (6.3 mi). This campground is 14 mi from Canyonlands Field Airport. When would you like to stay at Moab Valley RV Resort & Campground? This villa features a barbecue and air conditioning. This villa has a mountain view, microwave and flat-screen TV. This villa features a view and air conditioning. This cottage features air conditioning and barbecue facilities. This cottage features view and barbecue facilities. This mobile home features a sofa, view and barbecue. House Rules Moab Valley RV Resort & Campground takes special requests – add in the next step! Moab Valley RV Resort &amp; Campground accepts these cards and reserves the right to temporarily hold an amount prior to arrival. Moab Valley RV Resort & Campground accepts these cards and reserves the right to temporarily hold an amount prior to arrival. Please note that all for RV spots a Recreational Vehicle is not included. All guest must provide their own RV. Please note that while propane and charcoal fires are permitted at the property, wood fires are strictly prohibited. Please note that linens and bedding are not provided by the property. Beds are kinda on the hard side, however this is understandable since they are made to last. Not the worst, I will book and return again but may consider a padded mat to add to the bed but this is a personal sleeping comfort requirement. Great location. Cabin was as promised. We stayed in a cabin where the quality of one of the beds was poor. Checkin was fast and the staff was helpful. The camping restrooms and showers were very clean. You could hear traffic noise from the road, but we did stay during an event week. Close to arches and the river trail. Clean. Cabin should have been dusted prior to arrival. Trash under the sink attracted bugs. The water of the pool was a lot colder than expected, since it said it was a year round pool. We didn’t last much there because of it, but then again the weather wasn’t the warmest. The hot tub was broken and the staff didn't open up the coffee/store until 8 and then closed at 4pm so it was almost never open when we were there. I stayed there before and it was great. Opened the store earlier and kept it open a bit later so you could get a cup of coffee before a hike and it wasn't closed when you returned. It was disappointing the hot tub was not open and the staff didn't offer up any kind of accommodation. Pool closes at 5; most people are out and about during the day so they may miss out on an opportunity to use the pool and hot tub. You can see and hear cars from the campsite, however this will be the case with every RV park in Moab.